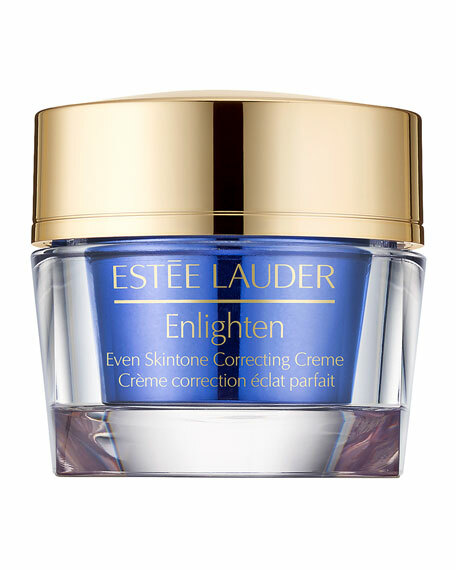 Estee Lauder Enlighten Even Skintone Correcting Creme, 1.7 oz. Estee LauderEnlighten Even Skintone Correcting Creme, 1.7 oz. Formulated with proven, targeted skin brighteners and powerful antioxidants and anti-irritants, this intensely hydrating creme restores radiance immediately. By night, it infuses skin with intense moisture, soothes and calms irritation. Refines skin's texture and brightens its overall appearance. By day, it maintains skin's ideal moisture balance to help defend against the irritation that can cause future spots. For in-store inquiries, use sku #214289.